This week, it was The Heat. In it, Sandra Bullock’s FBI character reveals that she was a foster child and a young girl who had few friends. When this played on screen, I cringed. “Great, another Hollywood slap in the face for child welfare,” I thought. I had reported on the abuse adoption received in The Avengers here, and I braced myself. However, this movie plays out quite differently. 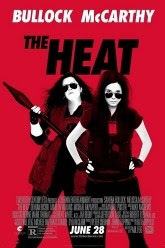 At the end of the movie, Melissa McCarthy’s character signs Bullock’s character’s old high school annual. When the audience was able to read it, her words took my breath away. In that moment, when McCarthy’s character refers to Bullock’s as her “sister,” I felt the acceptance that the character felt. My vitamin D-deprived psyche shed some negativity. In the adoption/foster care world, we talk so much these days about loss … the loss of families, the loss of self, the loss of racial identity. I have cycled through this loss and am still circling back as my children cycle. But this reminded me of the things that make me truly happy … relationships, and more specifically, my female relationships. The women in my life who have helped me through the loss, the hurt and the anger. My mother taught me the importance of friendships. Hers is the strongest I have ever known, and I model my friendships after hers. My sister, while younger than me, has also enriched my life. I often find myself looking to her for guidance. She is my sounding board. So many wonderful women have held me up and given me strength. I consider my “little sisters”: Jenny (my Frances Ha, another excellent movie), LaDawn, Nicole and Jessica. I cherish my relationship with Marlene, who I called my “other mother,” as she nurtured me when I began my life as an adult in the workforce. There are my other sisters, Kathy and Kayla, and my twin sisters, Katherine and Adrienne, who have tutored me in all things Asian and helped me form my Feeling racial identity. They reassured me that my common childhood anxieties were theirs too. All these women have cycled through my life, and while they are a big part of my life still, they live so very far from me. Our lives are so busy and finding the time to talk is a challenge. The Wisconsin winters and my move here lead me down a few dark paths, but now, another sister has entered.